Living in Southport and looking for help for your motor vehicle? Hopefully this page will help you find the right services for you. Whether a MOT, Service, Tyres, Exhaust, Battery, or car repairs in Southport we provide a lot of useful information to help you decide where to go. Our forums in Southport are also a perfect place to ask for recommendations from real people who are registered for our site for Southport. We have trawled the net to provide you with some very useful links that can help you. Did you know you can trace the full MOT history of a car? 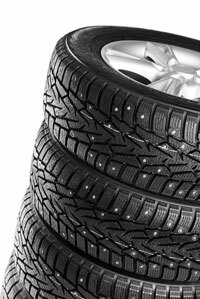 Find out what tyres should be on a vehicle. All these are more are explained in more dwetail in the relevant sections. Check a vehicles MOT history in Southport. https://www.gov.uk/browse/driving/mot-insurance is a UK government site that lets you search the MOT history, check vehicle details and a lot more. Very useful site link. Is there VAT on an MOT test? Answer NO, VAT is not applicable to MOT tests in Southport. When do tyres need replacing? The legal minimum is 1.6mm depth of tread across the centre 3/4 of the tread for the whole of the tyre. However most suppliers will recommend replacing tyres when down to 3mm depth. Tyre depth can effect braking performance so it is important to get tyres replaced before they get too worn down. Repairs can often be performed safely on a veichle without the need for a new tyre. A puncture doesn't mean you need a new tyre. A good tyre fitter in Southport will be able to offer you good advice. Worn typres should always be replaced. Do I have to use a manufacturer main dealer for servicing? NO. Motorists are free to choose any garage to service their car without invalidating any manufacturer's warranty, providing the business is VAT registered, follows the manufacturer's servicing procedures, employs a suitably qualified mechanic and uses original parts, specified fluids or ones of matching quality. Car servicing packages? These may often be part of a new or used car sale from a retailer or as an add on package. These sort of packages should cover the cost basic servincing labour costs and typically oils and filters. They tend not to include any work required for brake discs, tyres, exhausts and batteries. 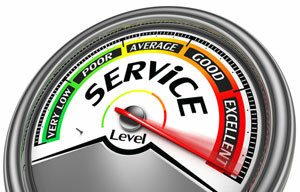 It is always best to get a written quotation for a service beforehand. Always leave your contact number and ask that they confirm any extra work and costs with you before they are carried out. When buying a used car it is often worth asking for proof of the cars service history. It will show whether the vehicle has been maintained properly and may include work that could still be covered by a warranty. Car batteries for Southport and car exhaushts for Southport are usually covered in the topics covered above.